Do you realize how lucky you are? Just think about it for a moment. Being alive in 2018 is like winning the evolutionary lottery. It’s easy to take for granted just how lucky we are to have been born at just the right time and at just the right place. We live during a time in our history when practically all human knowledge is within our grasps at any given moment. With a few flicks of a finger, a search engine can become a gateway to the exciting world of academia. It should be no surprise that self-teaching and online courses have become so popular. In this article, we will cover some of the most popular online courses for 2018, based on job growth and trends. It’s simple. Online courses are convenient, affordable and easy to access. Many people find that online education is their best option. Completing online college courses can typically be done at your own pace. This makes online learning a great option for people who cannot take time off of work. This additional flexibility is perfect for people who work during the day. Popular online courses are almost always more affordable than traditional classroom courses, and some are even free! Most online courses are cheap enough to pay out of pocket. This means there is no need for student loans. Taking courses online also makes learning very easily accessible. You can access many online courses through multiple platforms, including PCs, tablets and smartphones. What are the most popular online course platforms? 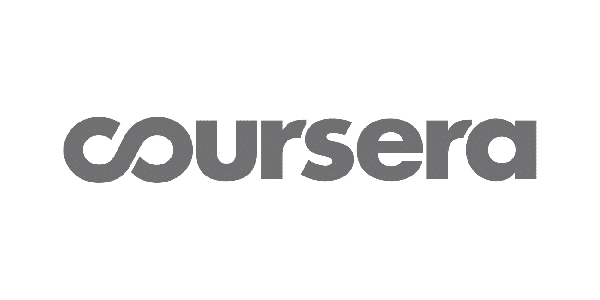 Coursera offers courses taught by instructors from many of the most reputable and well-respected educational institutions, including Ivy League schools (such as Harvard courses). In addition to single courses, Coursera offers specialization programs and degree programs. Specialization programs offer several courses centered around a specific skill. Degree programs offer accredited and university-recognized degrees through Coursear’s online learning environment. Udemy is a great option for online learners seeking to take classes on an individual basis. Rather than a monthly subscription fee, Udemy charges a fee for each course you take. If you’re only looking to take one or two courses, then Udemy is a great place to start. Lynda is one of the leading online learning platforms. For a monthly subscription fee, users gain full access to their full online course catalog. They offer nearly 6,500 courses ranging across a large variety of topics, including business, technology and creative skills, such as writing, design and photography. You can also check out the comparison we did between them here. It is important to keep up eye on the most recent job growth statistics. Knowing which industries are growing the fastest will help you determine which online courses are the most valuable. Listed below are 7 of the most popular online courses, based off of the fastest growing job markets. Lynda features an online course called Time Management Fundamentals. This course helps reinforce the basic tenets of organization and productivity. Taught by bestselling author and business coach Dave Crenshaw, this 2 hour and 51 minute course focuses on practical strategies for improving time management skills, including reducing clutter, staying focused and eliminating tasks. With over three million views, the Time Management Fundamentals course is one of the most popular online courses on Lynda . Time management is one of the most indispensable and valuable skills you can learn through practice. It is no surprise the study of software engineering is on the rise. Artificial intelligence is a constantly advancing technology. As a result, online coding courses are gaining popularity and have become some of the most popular online courses. According to Boston.com, the software and systems engineering job market is projected to explode by over 30% in 2018. Brands such as Amazon and Google are actively researching and advocating for the development of deep learning and machine learning technology. Virtual assistant products such as Amazon’s Alexa and Apple’s Siri are quickly becoming an indispensable part of our everyday lives. Udemy offers an awesome online course entitled Data Science, Deep Learning, & Machine Learning with Python which offers an extensive overview of modern data science that even a programming novice can follow. This online course focuses on plain English explanations, rather than technical jargon and mathematics. While some basic programming or scripting knowledge is required before you start the course, the payoff is immeasurable. In this course, you’ll learn how data scientists and machine learning developers use Python to create spectacular software. The course description stresses that this course is NOT about the deeply academic study of mathematical models. Instead it focuses on the practical application and understanding of deep learning. You’ll learn about neural networks, regression analysis, reinforcement learning and much more. This course includes over 80 lectures, which equal out to about 12 hours of on-demand video. Most of the topics covered in this course feature hands-on Python code examples which you can learn as a study aide. As healthcare technology becomes more portable and affordable, many families have decided to handle their health care in the comfort of their own home. The Baby Boomers are not babies anymore. The increasingly aging population has made home healthcare the fastest growing job in America. According to the Bureau of Labor Statistics, the home healthcare industry is projected to grow by 54% over the next eight years. As a result, many members of the workforce are becoming more interested in a health care career. Coursera offers a course called Foundations for Assisting in Home Care. Created by the State University of New York, this course covers the basics of home healthcare. This course is a good option for anyone looking to become a Home Health Aide or Personal Care Aide. The course is also a great way to introduce yourself to the industry if you are still unsure about making the jump. This 13-week course covers everything from working with the elderly to the care of home and personal belongings. Coursera estimates that, on average, the course will require 3 to 6 hours of work per week. It has become clear that climate change is a genuine problem. Anyone who denies climate change stands in conflict with the entire scientific community. The environment is our most precious commodity. It is the only element of life that every human on Earth shares. To change the fate of the human species, we must make some changes. To see what those changes are, we must train more environmental scientists. As a result of our ecological reality, the need for environmental scientists and specialists has grown significantly. According to the Bureau of Labor Statistics, the Environmental Sciences sector is expected to grow 11% by the year 2026. This is considered significantly faster than average. Coursera offers an online course created by the University of Illinois at Urbana-Champaign called Introduction to Sustainability. Taught by Dr. Jonathan Tomkin, Associate Director of the UIUC’s School of Earth, Society and Environment, this course explores how humans can survive and thrive as we struggle with global change and resource limitations. This course inspires students to think critically and ask the right questions about sustainability theory and practice. This Coursera class is a great place to start if you are interested in pursuing a career in environmental science. Programming is the foundation of all things tech. Programming runs every gadget, device and handheld that we use on a daily basis. Programmers have not only been in high-demand for the past twenty years, but it seems like they will be in high demand in the future, as well. 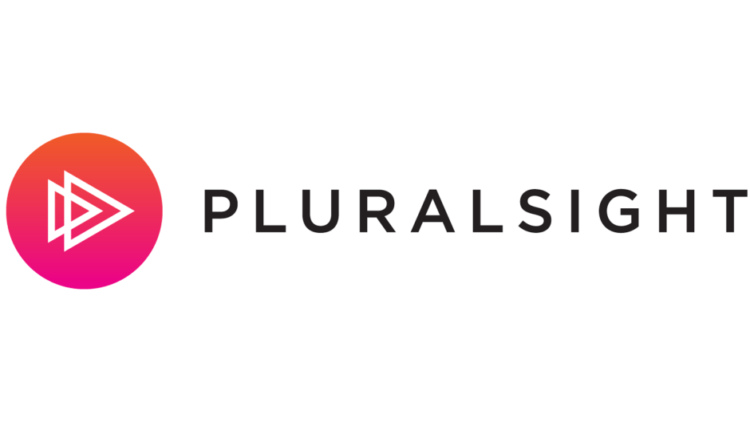 If you’re looking to dive into programming, the best place to start is learning C. PluralSite thinks that every programmer should learn C and describes the language as so: “You can make your own bread with a prepackaged mix, a bread machine and some electricity—or, you can assemble the raw ingredients.” Learning C helps build a framework from scratch, much like making homemade bread. Udemy’s has very well-regarded online coding courses. Considered one of the best options for self-teaching, Udemy offers some of the most popular online courses. Specifically designed for people new to coding, C Programming For Beginners is an excellent option for anyone looking to learn the fundamentals of programming. C serves as the basic foundation for most modern languages. This course guides students through their first C application. Udemy’s course also helps students understand variables and data types. The instructor for this course is Jason Fedin. He is a software developer who has been teaching programming for over 12 years. This course features 22.5 hours of on-demand video content and two written articles. Students who complete the course earn a certificate of completion. What is the first thing you notice when you visit a website? For me, it’s the design. A poorly designed website is hard to look past for some people. Bad first impressions caused by poor design principles are an unnecessary risk for businesses to make. Web design is just as important to a company’s brand as their marketing. Many companies spend mountains of money trying to capture the latest logo design trends. The Bureau of Labor Statistics projects that web development jobs will see a growth of 15% over the next ten years. Among Coursear’s best online design courses are Web Design for Everybody. This series of courses created by the University of Michigan is designed to teach students the basics of web design technology and coding. Included with this specialization are courses covering multiple coding languages and design styles. The capstone course of this series will help students create a design portfolio and prepare them for the marketplace. Colleen van Lent, Ph. D, a lecturer at the University of Michigan, teaches this online course. The workload for each course varies signifigantly, but they range from 2-8 hours per week.. Database management is the most important tech investment for modern businesses. Data is the guiding force for social media messaging and advertising. Companies are willing to shell out huge amounts of dough for talented database administrators and data analyzers. According to The Balance, the Database Administration field is due to grow 15% by 2022. Udemy offers a course called MySQL and Database Management which dives deep into the world of data analytics. Focusing on MySQL, this course provides an overview of data management. This class includes sections on relational databases, modeling concepts, data modeling and SQL basics. This online course is taught by William Starr, who has been coding since he was 12 years old. The coursework includes 15.5 hours of on-demand video and 24 supplemental resources. With so many online learning options available, it’s no surprise that there are so many popular online courses. Lynda, Udemy, Coursera all offer affordable and convenient courses which will help you learn about the fastest growing industries. Education is quickly becoming detached from the classroom. Online learning courses are the wave of the future. Deep learning, home health care, time management, web design, programming, environmental science and database administration are among the fastest growing industries in the United States. The most popular online courses are the ones dedicated to forming the workforce of the future. Did you enjoy reading about the most popular online courses? If so, please share it! 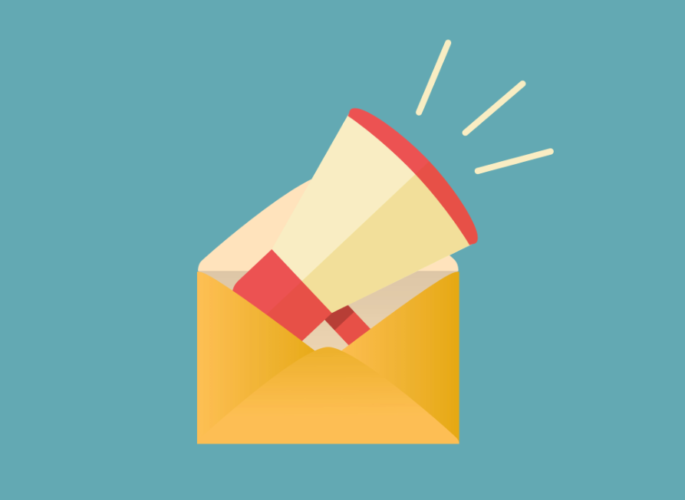 Join 6700+ others who get our FREE newsletter. We write about the best online courses, while reviewing the education platforms that offer them. Andrew Dobrow has over a decade of editorial and writing experience, including eight years as the Senior Managing Editor of Gearfuse.com. He has been a contributing editor to several of the largest web properties, including AOL, MySpace, Mahalo.com (now Inside.com), Born Rich and Coolest-Gadgets.com. In his off time, Andrew enjoys spending time with his son and watching cheesy sci-fi movies. We’ve compared pricing, courses categories and more between all the top learning platforms.